European commentators had been discussing the merger for some while, as the so-called VW Law was tested in the courts. The general view was that the law contravened EU principles on competition grounds. The possibility of non-German control would encourage a ‘friendly’ takeover, with Porsche a front-running candidate. Dr Ferdinand Porsche designed the original Beetle in 1936, and his grandson, Ferdinand Piech, is chairman of VW and the controlling shareholder in Porsche. 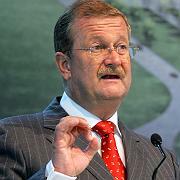 Wendelin Wiedeking, chief executive of Porsche, is a member of the supervisory board of Volkswagen. “All restrictions on the movement of capital between member states and between member states and third countries shall be prohibited.” This is one of the four fundamental freedoms of the European Union the freedom of movement of capital, movement of goods, services and persons. There is a case for stating that Germany demonstrates an alternative mode of capitalism. The much-lauded strength of its industrial sector is backed by a complex governance system. Funds tend to be provided by banks rather than the financial institutions of the city. News seems to trickle through to the financial press, increasing the proportion of speculative comment over hard facts. In November 2007, rumors suggest that Porsche intends to acquire VW, and incorporate the models under the Porsche brand through a holding company. VW declines to respond to such rumors. The powerful unions at Volkswagen sent a signal of discontent, with work stoppages, including 40,000 workers at the main Wolfsburg plant on Wednesday October 30th. Shares in VW have moved steadily upward this month. News coverage in the rest of Europe has been low. My suspicion is that plans towards securing that dynastic merger are in place. Whether the happy day is near remains to be seen. The speculation comes after Porsche, controlled by Ferdinand Piech, also chairman of VW’s supervisory board, said in July that it was not “as yet” considering increasing its Volkswagen holding. But it has been steadily increasing its ownership of the group in recent years, raising its holding from 27.3pc last March in its most recently publicised share acquisition. That move meant Porsche, topping the 30pc threshold, was forced under German law to make a takeover bid for Volkswagen. But the company intentionally priced its offer at the lowest allowable level – the same €100.92 (£68.36) price it paid by exercising options to by the 3.7pc stake – and predictably received a take up “considerably less than 1pc of VW’s shares”. Porsche is only required to again publicise the extent of its stake in Volkswagen if it crosses the 50pc mark. The Rumors all cited an article from Der Spiegel that had not yet been published – I believe this is what the postmodernists liked to call a simulacrum, a replica of an original that did not exist. The reports replicated themselves and anticipated an article that did not (yet) exist. The article when it appeared reads slightly differently to the English versions (and the computer ‘translation’ into English is far from clear). The comprehensive accounts of the VW company by Der Spiegel are brilliant, but unfortunately only appear in English translation some time later. the Work Council boss, if Porsche attempts to change existing agreements at VW. Wiedeking, as head of Porsche, is given far more prominence than than he is in the English Language reports. AS long ago as february, The State of Lower Saxony (strongly directed by Christian Wulff) had abandoned the so-called Volkswagen law preventing loss of state control, and permitting Porsche to acquire shares to just-below the triggering 30% stake. owns a significant share of Porsche, roughly 13%. In order to prevent discussions among the many family members, a policy was established in early 1972 that no Porsche family member is allowed to be involved in the management of the company. Porsche seems to be playing a waiting game. VW is relatively powerless. Like Caesar of old, Wiedeking can wait until precisely the moment to strike. You are currently browsing the archives for the Ferdinand Piëch category.